(WSB) -- Cherokee County Sheriff Roger Garrison said he has no affiliation with the Ku Klux Klan, despite old photos that surfaced showing him wearing a robe and hood. He wore the costume to a Halloween party around 25 years ago, long before he took office. "I don't deny it wasn't stupid, looking back now, but there again I say what 21- or 22-year-old in this world hasn't made some stupid mistakes?" Garrison told Channel 2 investigative reporter Jodie Fleischer, who obtained the photos from a source who wished to remain anonymous. Garrison is up for re-election this year, and is facing primary opposition next month. "It's purely political," he said, "This is just the lowest of the low to infer whatever they're attempting to infer there." 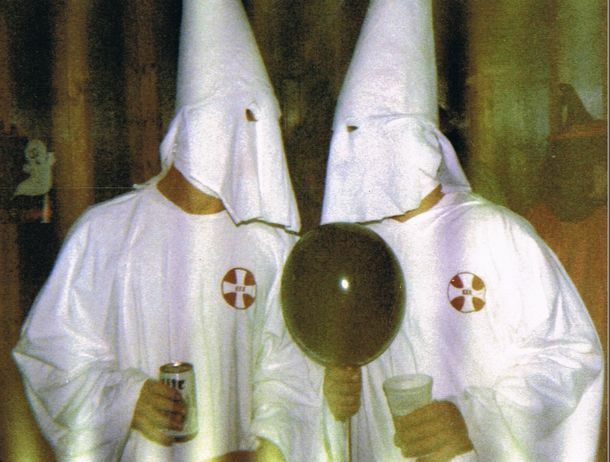 Garrison said he and a friend were dressed as characters from a scene in the movie "Blazing Saddles" and that he has never espoused any of the KKK's beliefs. "I don't think anyone who knows me is going to think anything of this, but it's just sickening and it hurts my family," said Garrison.